The Days of Johann, an agility dog! : Black and White Sunday: It's a three dog pile up! 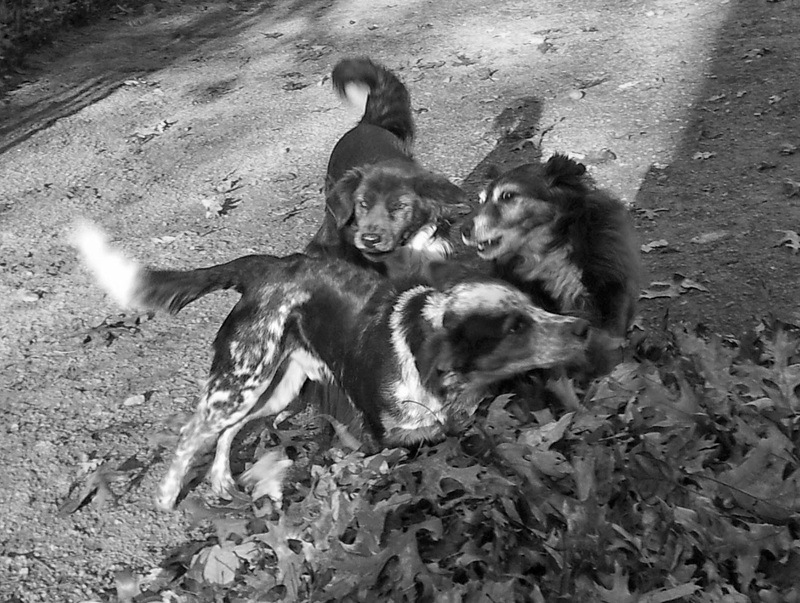 Black and White Sunday: It's a three dog pile up! That looks like so much fun! Happy Sunday! Im coming in!!! Watch out!! LOL...That is a great photo. What fun they are having. Last one in the leaf pile is a rotten egg!